A jogger set for comfortable movement. 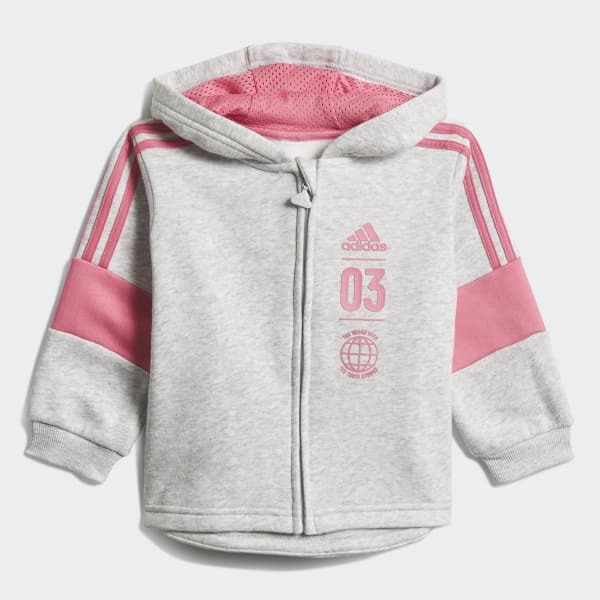 For infants with big potential, this fleece jogger set will keep them comfortable as they explore their world. The set features ribbed cuffs at the wrists and ankles and bold adidas graphics on the front. The adjustable drawcord waist makes it easy to get them dressed.